↑ "The Eiffel Tower at a glance-Things to Remember". SETE (Official Tour Eiffel website). Retrieved 1 January 2014. 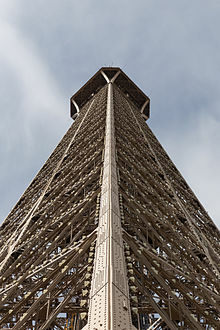 ↑ 2.0 2.1 "The Eiffel Tower at a glance-Key Figures". SETE (Official Tour Eiffel website). Retrieved 1 January 2014.